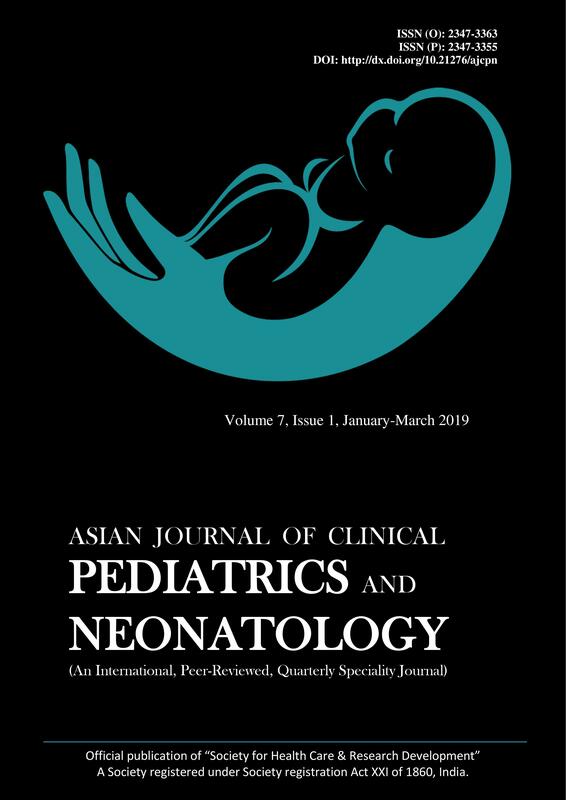 Asian Journal of Clinical Pediatrics and Neonatology (AJCPN) is an open-access; freely accessible, online and print Quarterly peer-reviewed international journal publishes a wide spectrum of advanced research in different fields of pediatrics and neonatology, covering etiology, diagnosis, therapy and prognosis aspects. The journal publishes Original research articles in the form of full length research articles or short communications related to pediatrics and neonatology. The journal welcomes review articles, mini-reviews, case reports, letter to the editor, guest editorial or commentaries. Asian Journal of Clinical Pediatrics and Neonatology is an Official publication of “Society for Health Care & Research Development”. A Society registered under Society registration Act XXI of 1860, India.